The mini desktop sandbox just evolved. 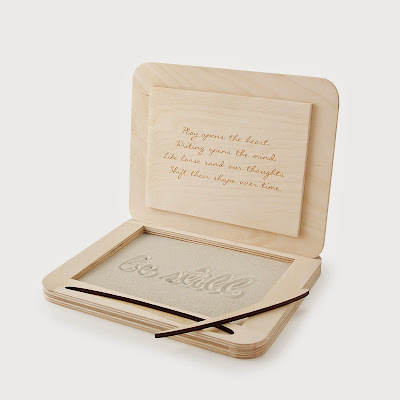 The Meditation Box from Uncommon Goods allows users to serenely create pictures and words that in a field of white sand that is sure to sooth any restless mind. Missouri based designer Jane Riew has elevated personal quiet time to a calming and creative outlet.